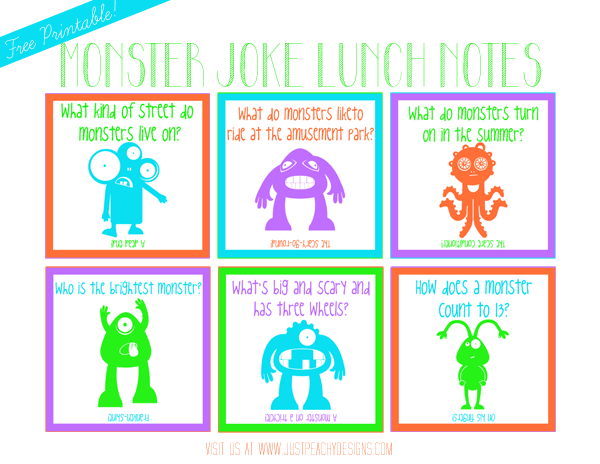 Here's a free set of printable monster joke lunch notes to send to school in your kid's lunch box. No, they aren't the most sophisticated jokes, but my 6 year old thinks they're pretty funny, and yours might too. Click on the above image to download. Enjoy!